Eric has worked as an FBI counterterrorism and counterintelligence operative, a national security attorney and as a corporate security consultant. He founded The Georgetown Group, a premier investigative and security services firm. 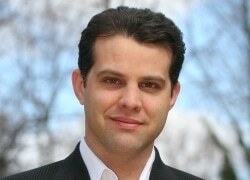 Eric is also the National Security Strategist for Carbon Black, the leader in next generation endpoint security. In February 2001, Eric helped capture the most notorious spy in United States history, Robert Phillip Hanssen. In the three months preceding Hanssen’s arrest, Eric was selected to work with the spy within the newly minted information assurance division, created to protect all classified FBI intelligence. Eric was charged with gaining Hanssen’s trust and then using that relationship to slowly draw the traitor out of deep cover. Eric’s investigative skill led to the arrest and ultimate conviction of the master spy. Eric is an honors graduate of Auburn University. He earned his Juris Doctor degree from The George Washington University Law School, also with honors. Eric is available as a public speaker and as a consultant for film and television projects.